Harris Andersen began his piano studies at the age of five at Neighborhood Music School and currently studies with Rebecca Raffaelli. In addition to studying violin with Marshall Barron and performing solo at many recitals, he has played violin in the Greater New Haven Youth Orchestras for five years. An active member of NMS, he is a violinist in the Premiere String Quartet, has studied AP theory and composition, and is completing his certificate in the senior division of the Young Artist Diploma Program. 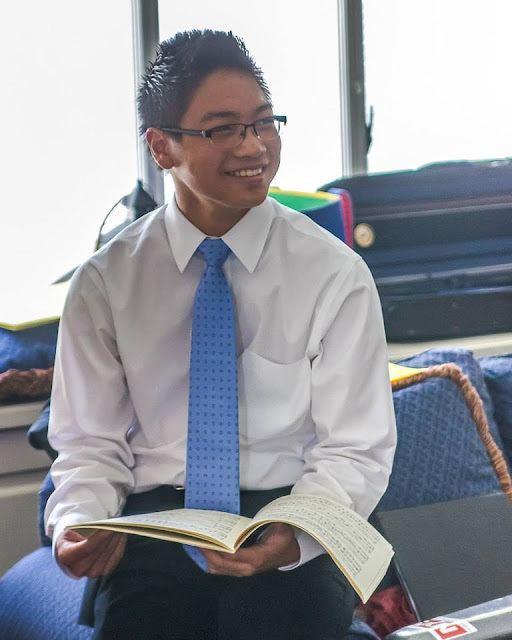 Since 2012, Harris has auditioned and performed at the Chamber Music Central in Fairfield where he has studied chamber music on both piano and violin. He has also participated in the Summer Chamber Music Workshop at Apple Hill in Nelson, New Hampshire. For the past six years, Harris has auditioned and been accepted to the CMEA Southern Regionals and placed in the top chairs on trumpet and violin in orchestra and band. He was accepted to and attended the Connecticut All-State Festival in 2017, performing trumpet with the Concert Band. Harris won the Greater New Haven Youth Ensembles Concerto Competition in 2016, making his orchestral debut with the Youth Orchestra playing the 1st movement of Beethoven’s Emperor Concerto. Other accomplishments include 2nd prize winner of the thirty-eighth annual Renée B. Fisher piano competition in 2015 and recipient of the Annie Memorial Merit Scholarship Fund for outstanding musicianship in 2016. Harris will attend Boston University Tanglewood Institute's Young Artists Piano Program in the coming summer of 2017. Harris is a junior at Amity Regional High School in Woodbridge and is very involved in the music department. He is the co-principal trumpet in the Symphonic Wind Ensemble, lead trumpet in the Jazz Band, concertmaster of the Symphony Orchestra, and piano accompanist of the Chamber Singers and Concert Choir.